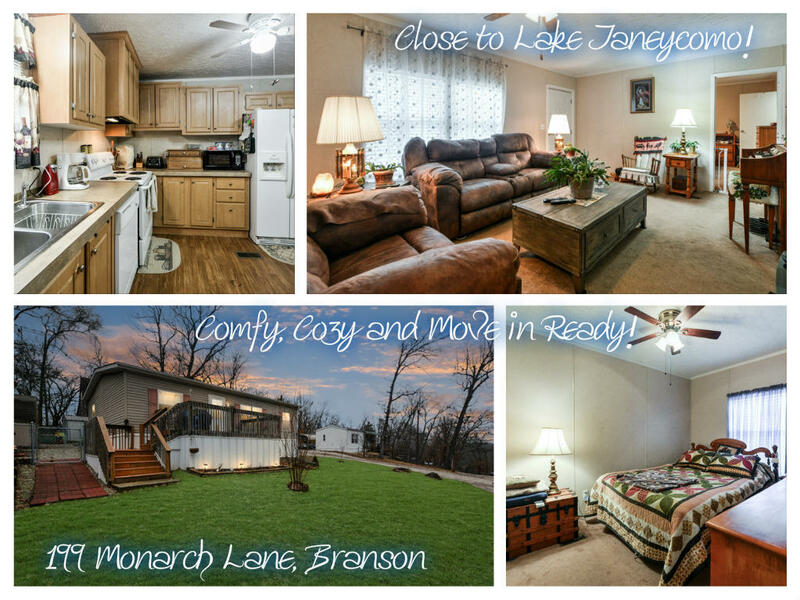 PRETTY HOUSE IN QUIET NEIGHBORHOOD NEAR LAKE TANEYCOMO! Walk to the overlook &see the fireworks at Branson Landing! Big front deck, invites you into the cozy Living area with a big window for lots of light. Country Kitchen/Dining room has a large side by side Refrigerator, plenty of storage, & a pantry closet. The Master Bedroom/Bath has a big garden tub, a walk in shower, AND a Walk in Closet! Split bedroom arrangement has 2 more bedrooms& a bath on the opposite side of the living room. Through the kitchen is the Laundry room and a Back Porch Sun Room (glassed in). The Big shed outside has electricity &was used as a workshop. Small, Low maintenAnce, Fenced back Yard is great for pets. 2 car Carport. No HOA but Taneycomo Heights charges $70/mo for Water/Sewer/Trash.